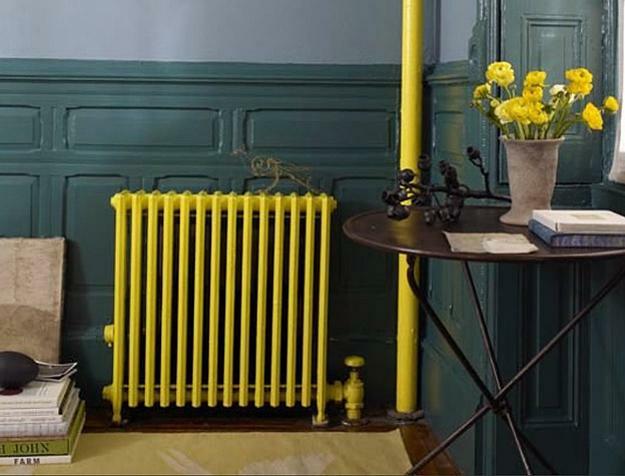 Cast-iron radiators in vintage style or contemporary room heaters can be beautiful accents and look like artworks in modern interiors. 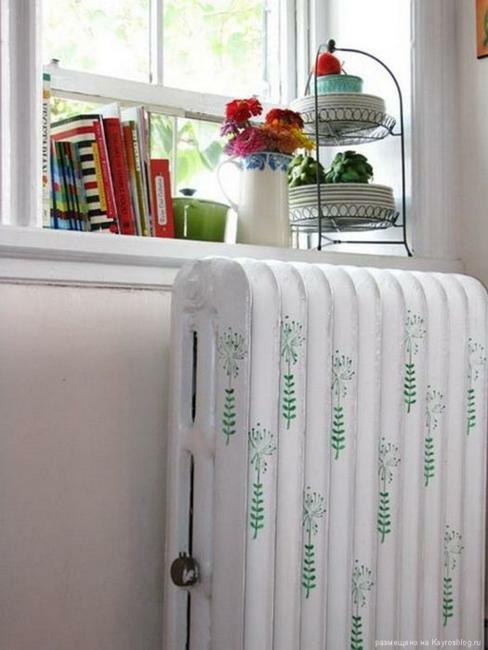 Many homeowners like to put covers over their radiators, but not all materials and designs inhibit heat flow properly. 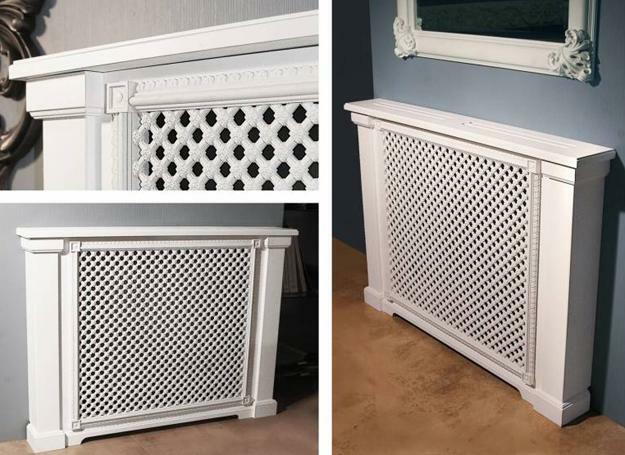 Perforated enclosures, decorative screens, wooden benches, and wall shelves improve radiators look and decorate them in style. 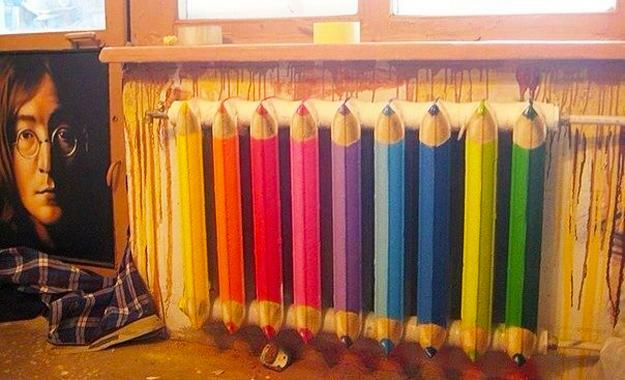 Creative painting ideas and bright colors are another way to turn heaters into home decorations. 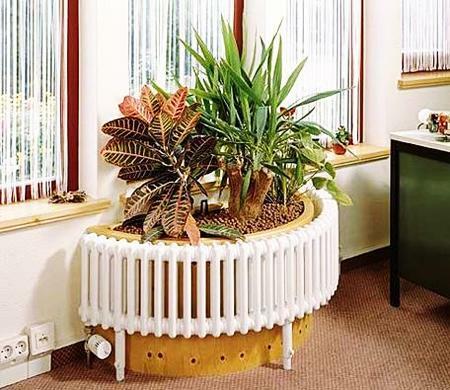 Lushome collection presents modern interior decorating ideas that make radiators disappear with beautiful cover designs, bright paint, and attractive decoration patterns. 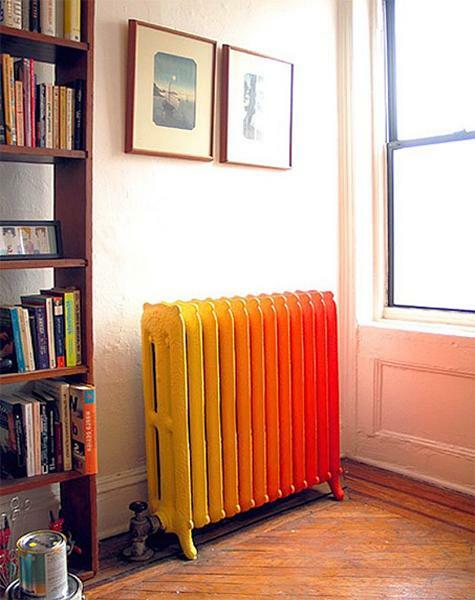 Many homeowners believe that radiators look unappealing, so these creative and colorful ideas can help the readers find the best way of decorating their heaters. 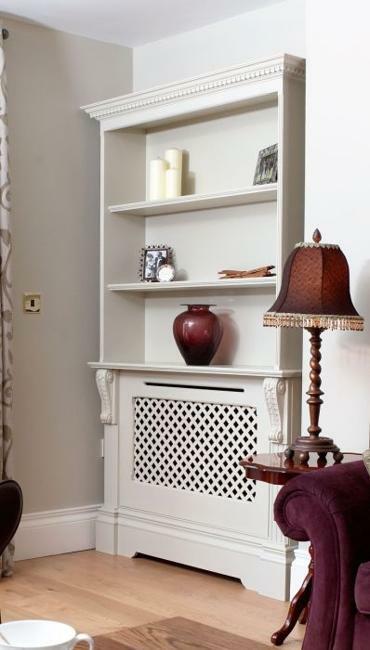 Radiator covers can beautifully hide and keep your radiators clean. 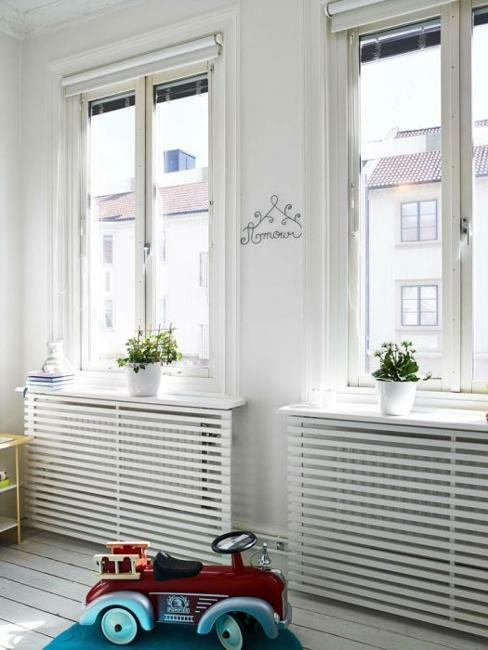 The spaces between the wall, floor, and radiator are a dust magnet. 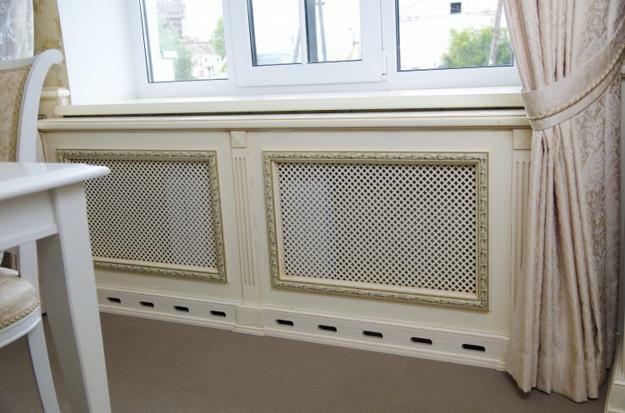 Decorative screens and covers cut down on the frequency of cleaning while creating a neat look in homes. 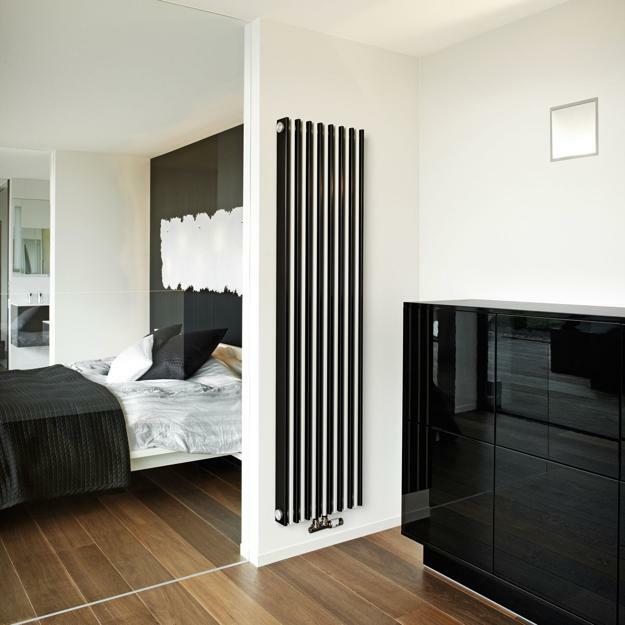 Interior decorating with radiators screens and covers calls for smart designs which allow transmitting most of the heat back into the house. 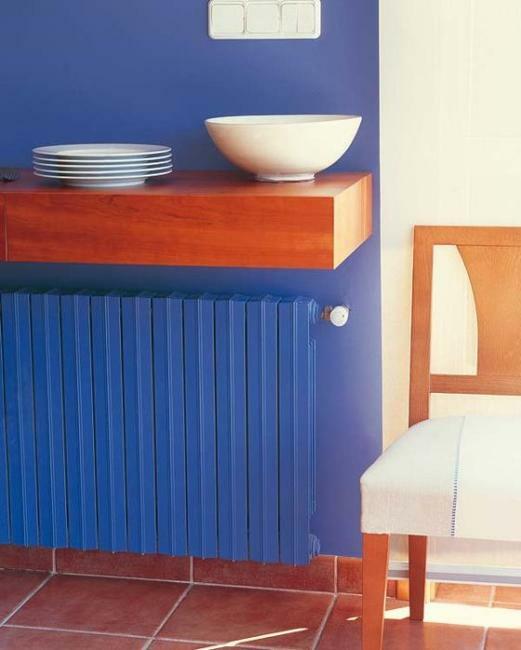 Creating a wooden bench or a wall shelf above a radiator is an age-old design which improves interior decorating and functionality of a room. A wall shelf work for decor, organization, or for keeping a container with distilled water to humidify the air in the house. 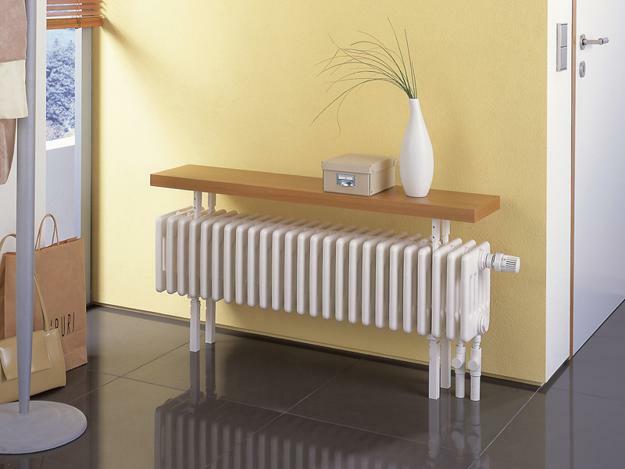 A warm bench is an excellent addition to foyer decorating. 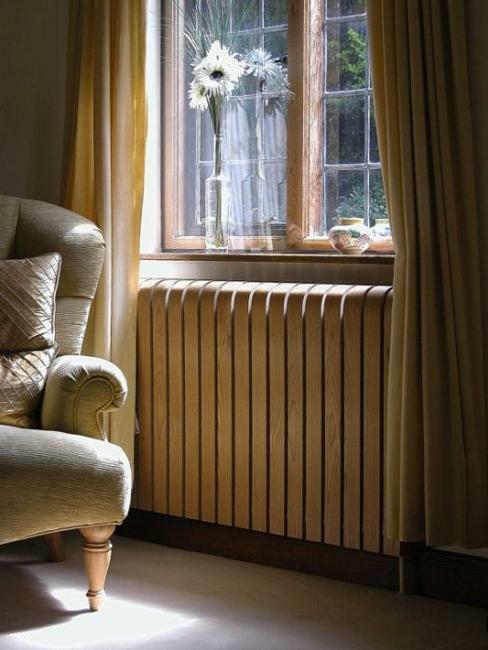 Because wood is a perfect insulator, wood cover enclosures do not transmit all heat to a room, but wooden benches feel warm and welcoming, creating inviting places to seat. 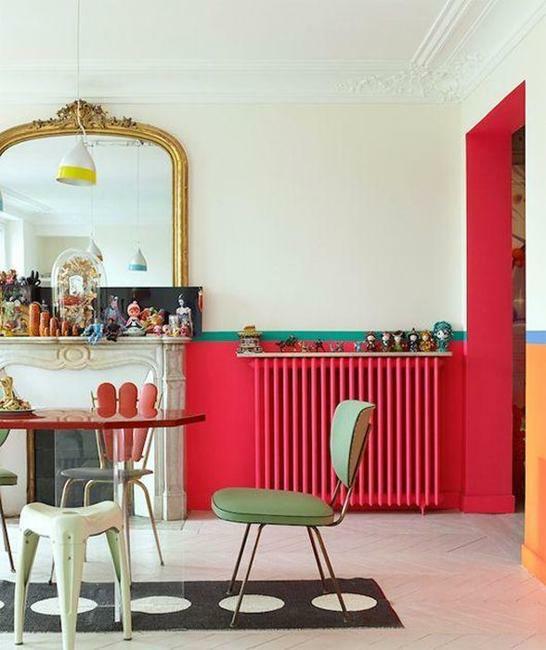 Bright painting ideas for radiators are creative, contemporary tricks which blend radiators with walls or turn them into stunning accents which enhance the originality of interior decorating. 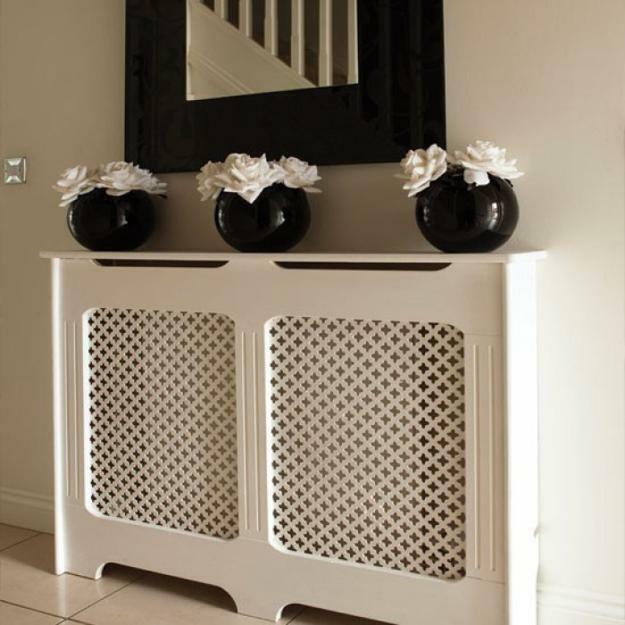 Brilliant art ideas cost very little, offering spectacular alternatives to expensive radiator covers and decorative screens. 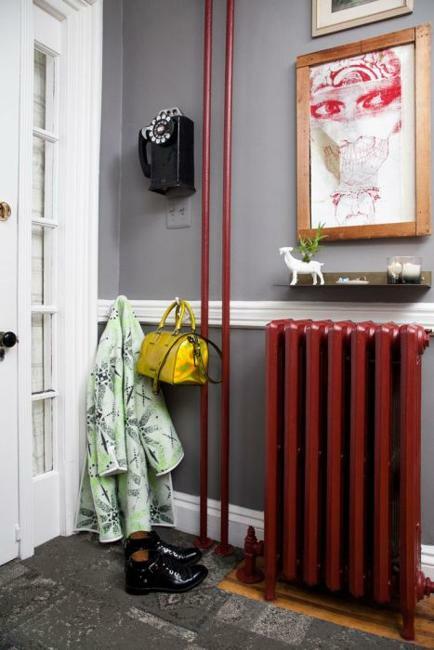 Painting ideas or perforated radiator enclosures are smart and stylish ways to hide room heaters. The choice depends on the desired effect. 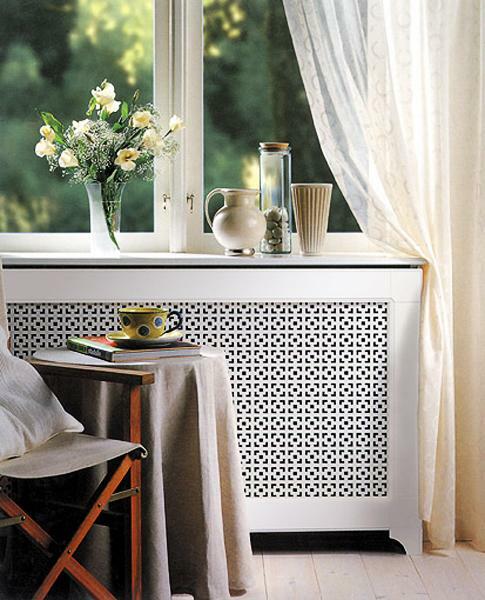 Radiators can make bold accents for colorful interior decorating or hide behind beautiful screens. 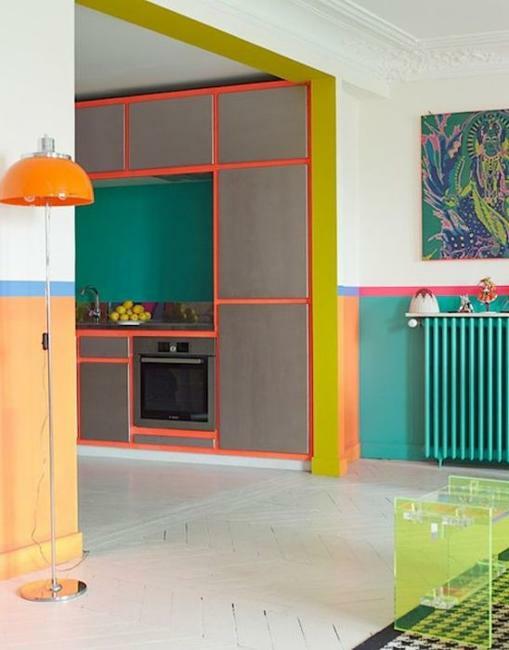 Whether they become a canvas for your art painting project and bring color into your room or hide, demonstrating a stylish material and unique design of a cover, it is up to you.